From filthy filters to sizzling fuzz, the DynaMorph’s smaller sibling has it all. TWA has released the MiniMorph Dynamic Waveshaper, a gnarly filter/distortion pedal that’s modelled after the brand’s original DynaMorph. 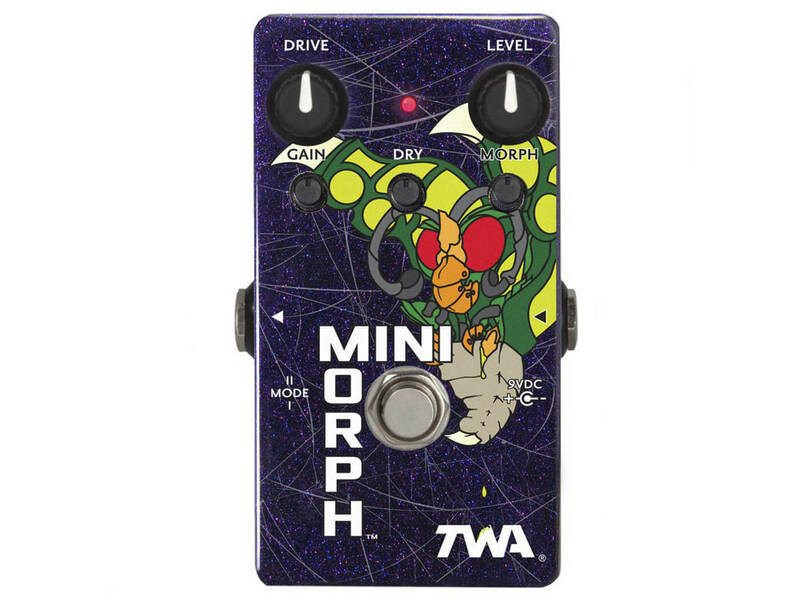 This diminutive stompbox is powered by an envelope-dependent drive circuit – similar to the DynaMorph’s – that links the amount and type of saturation to the input level. The circuit features a string of full-wave rectifiers, which sit behind two high-gain preamps that are set in series. At a low drive setting, you’ll achieve sagging, fuzzy ‘burps’. Crank it up, however, and you’ll create higher order harmonics that drop in pitch as notes decay – this effect is similar to a swept resonant filter. And if you employ double stops and chords, the pedal responds with wacky intermodulation effects. Increasing the gain settings, on the other hand, makes the drive hit a lot harder. This results in greater compression and rich, complex harmonics with bags of sustain. Retails at $189, estimated shipping by 5 March. More info at godlyke.com.